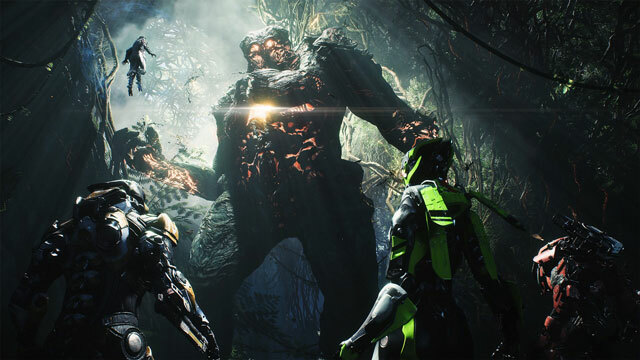 At the very beginning of February, Anthem is going to host a beta for those that pre-order or are an EA / Origin subscribers. As is the case with many a demo or beta, it won’t feature everything that will be in the full game. This includes a very different economy and balance, no tutorials, and so on. Plus, you won’t be able to pick your pilot, and you’ll start in the middle. This was all pointed out in a tweet from executive producer Mark Darrah. So, you know… adjust your expectations accordingly. The launch of Anthem is only a month away, and the pre-launch beta is taking place in a little over a week. A lot of people are either looking forward to or cautiously curious about the new brain child of BioWare and EA. Will it be a grand comeback for this duo, or is it gonna be another Mass Effect Andromeda? Well, we can’t know yet. That said, executive producer Mark Darrah has tweeted about what you can expect to see in the upcoming pre-launch beta. You’ll have to temper your expectations somewhat. The tweet lists of things that will be different between the full game and the demo. Turns out, they won’t exactly align perfectly. So, okay, what are the differences going to be? Well, according to the tweet: you start in the middle, there’s no tutorials or pilot picker, the balance will be “super different,” the economy will be “completely different,” it’ll be buggier, feature only one story arc, “slightly less-nuanced PC controls,” and a couple of things will be renamed. So, uh, there you go. It doesn’t seem to me like the demo will reflect the full version of Anthem very accurately. I hope I’m wrong, but all this kinda seems weird. I mean, quite a bit of people will base their decisions on the demo itself, so… we’ll see what happens, I guess. Quick reminder: the Anthem beta is scheduled for February 1st. To access it, you have to either pre-order Anthem, or be a member of EA Access / Origin Access. As for the full game, Anthem is coming out on February 15th for those that are eligible for Early Access (aka for Origin Access and EA Access members), and February 22nd for everybody else. You’ll be able to play it on Xbox One, PlayStation 4, and PC. PREVIOUS POSTKingdom Hearts 3 Worlds – How Many Are There?